In Politics Neither Begins Nor Ends with Elections, the Justseeds Artists Cooperative responds to the recent election with a window installation which boldly highlights the reality of electoral politics in the United States while pointing to all of the other places people can and should invest their energies in order to work towards making a better New York City and United States. With artwork by Aaron Hughes, Josh MacPhee, Dylan Miner, Partner & Partners (for Interference Archive), Roger Peet, Dignidad Rebelde, Favianna Rodriguez, and Mary Tremonte. 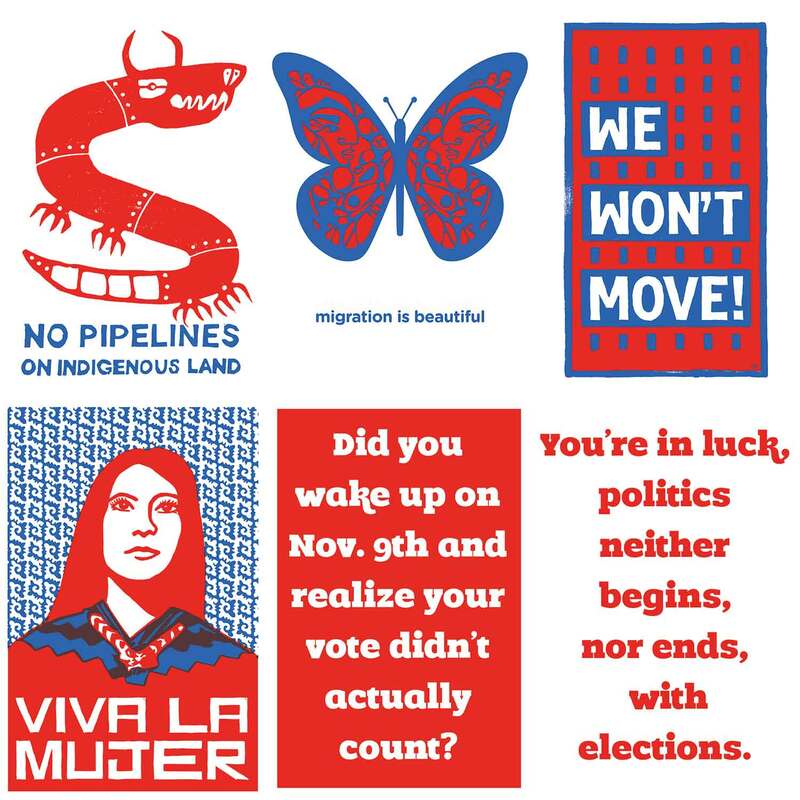 A large selection of Justseeds-related publications will also be available at Printed Matter. Opening on Thursday, December 8th, 6–8pm.